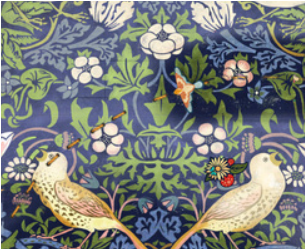 Strawberry Thief is a game made at the Victoria and Albert museum, as a part of their residency program. I was tasked to interpret work from the Britain 1500-1900 galleries and chose to focus on William Morris and the Arts and Crafts Movement. The game was originally available on the app store, but you can download a PC version here. Tick Tock Toys is my first commercially released title under Swallowtail Games. As chair of the company and creative director, I undertook many different tasks on the project, including concept, game design, character design, 3D modelling, rigging, animation, textures, UI and general management. Tick Tock Toys is a puzzle game for families for iPad and iPhone. It was featured on the App Store in 40 countries and achieved 100,000 downloads in its first week. Sadly, it is no longer available on the App Store. Vacuum Panic is a concept developed by 15-year-old Charlie Hutton-Pattemore who won the BAFTA Young Game Designers Concept Award. Swallowtail Games created this game in association with Abertay University and BAFTA. Vacuum Panic was featured in the 'What we're playing' category. Epic Tale of Rock was my final project for the Games Development master at Abertay University. Working in a small team, my main tasks were character animation, along with smaller jobs such as modelling and texturing. The brief for the project was supplied by Sony and realised on the PS Vita through PhyreEngine. Space Whale was created as part of the Professional Masters in Games Development at Abertay University. My tasks included art and animation for the whale and the space background. Space Whale was featured on Rock Paper Shotgun.